The Tieri Top by Sessùn is a decorative striped jersey T-shirt, fabricated in Portugal. Thetop features a boat neck and comes with short sleeves with ruching at shoulders. 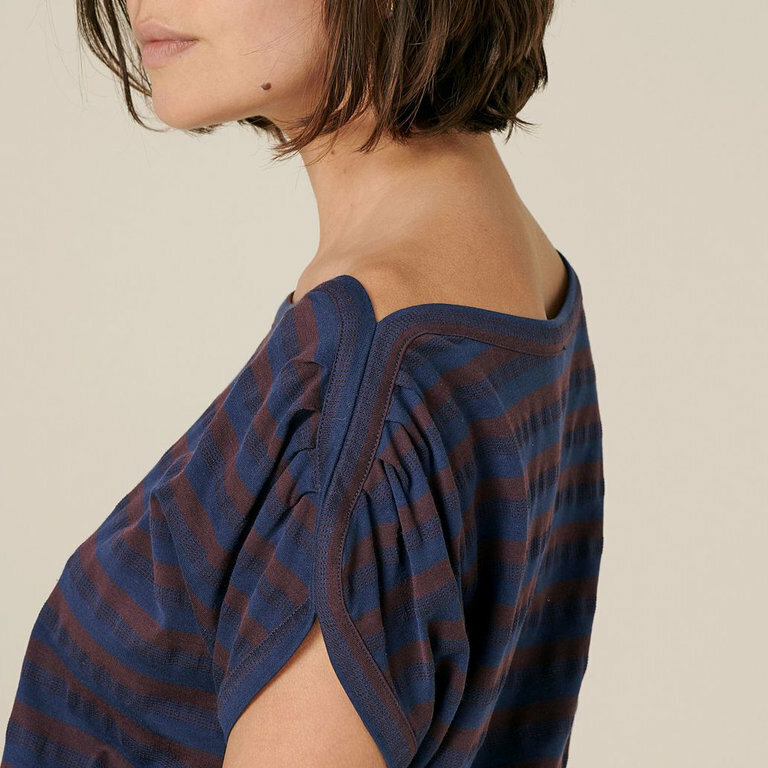 The Taieri Top by Sessùn is a decorative striped jersey T-shirt, fabricated in Portugal. Thetop features a boat neck and comes with short sleeves with ruching at shoulders.